This season we searched the internet high and low to find moms with just the right touch of cool and asked them to join us as part of a new initiative program for Appaman. We have coined these fearlessly fabulous group of bloggers the AppaMoms. We’d like to take this moment to welcome them and all their awesomeness: Mom Generations, Pop Street Kidz and Stroller in the City [applause]. We highly recommend you give them a follow and check out their blogs to learn what they are all about! 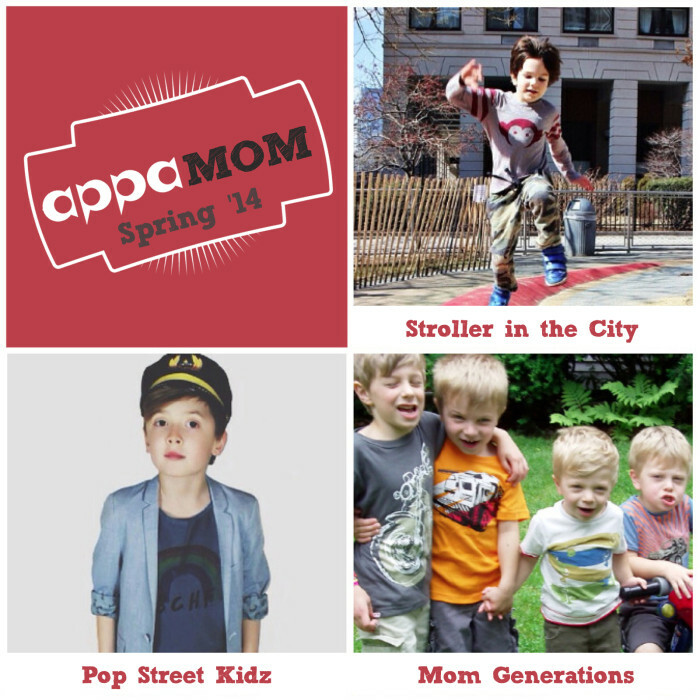 As AppaMoms, Mom Generations, Pop Street Kidz and Stoller in the City were able to hand pick Appaman outfits for their little ones to try them out out and tell us what they think. We can’t wait to see what they have to say. Stay tuned for more from the AppaMoms. So excited for this!! Love PSK!!! So honored to be part of this amazing campaign!!! Look forward to sharing all my fav Appaman styles with you!